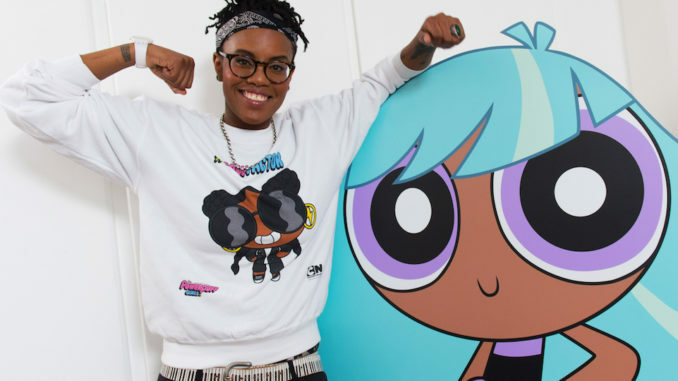 In an effort to bring more relatable stories to its African audiences, Cartoon Network is currently running a competition to find new content. The channel, owned by Turner Broadcasting, wants a new concept for an animation short film (one to three minutes in length), that has never been seen before in terms of comedy, and that is going to make children laugh out loud. Not only does this competition add local content to the channel, but it also helps nurture and grow the African animation industry, explains Ariane Suveg, head of programming and acquisition for Turner Kids Africa. She admits that Africa’s animation industry is not as developed as those on other continents, but believes that it is a great time to launch a competition such as this, because the African animation industry is rapidly on the rise. Modern ideas are being presented, and new moves, developments and connections are being made, so finding and presenting new talent at this time is crucial. While some countries lack animation schools, though partnerships between different countries have been curated, South Africa has quite a few accomplished ones. Suveg wants this competition to be a source of inspiration for young animators and creators. This competition is an important one for Turner Broadcasting, as it helps make the brand more African, which in turn not only connects with local audiences, but also helps showcase African work to the rest of the world. “It’s very important for us to resonate with our local audience so we need local content. For Cartoon Network we are looking for great stories and very engaging characters wherever they come from. There are great stories coming from Africa and it’s important to make them travel around the world,” explains Suveg. The content will reach Comedy Central’s core target of six to 12 year olds and the entries will be whittled down to ten finalists. One winner and two runners-up will be chosen from these, and pilots of them will be created to air on Cartoon Network and premiering at the South African Animation Festival in Cape Town. They will be 100% locally produced, incorporating many elements of production including writers, storytellers, animators, and graphic designers. Suveg says the main difference between African cartoons and global ones are the stories told and the types of characters. “We’ve seen that the characters are very strong in African projects. In each project, you have characters described in very detailed ways and they have depth with their story and backgrounds and strong values, sometimes around family and friendship … They’re very rich, as well as the stories,” she says. Turner Broadcasting has now turned its attention to more DTT channels in some territories and is also exploring on-demand services, which Suveg says will be massive in the near future. It’s no secret that consumers nowadays want to choose what, where and when they want to consume content. Entries close at the end of August and the competition is open to anyone. Submit your work via Dropbox to www.CartoonNetworkAfrica.com/CreativeLab. Editorial guidelines can be found at www.CartoonNetworkAfrica.com/CreativeLab.